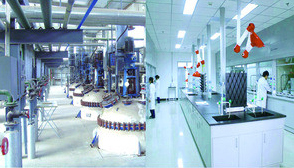 The company is a high-technology enterprise, which integrates production, marketing and and research together including manufacturing technical and formulation pesticides and chemical intermediates.Our company mainly provides chemical synthesis outsourcing services for the novel drug R&D of domestic and abroad pharmaceutical companies.The main business includes synthesis of fine chemical products such as pharmaceutical intermediates (directory of products and customized synthesis), design and synthesis of chemical compound libraries, pharmaceutical chemical synthesis and so on. Honest We keep honest with people, and break down convention to promote communication, and also keep equality and trust with each other. We embrace to work with our client malleably to help the world. Our company is not selling what we have but is helping our client what we can. We are committed to satisfy and exceed customer’s requirements and build long-term partnerships with customers.